A bit of an introduction to new prints…. 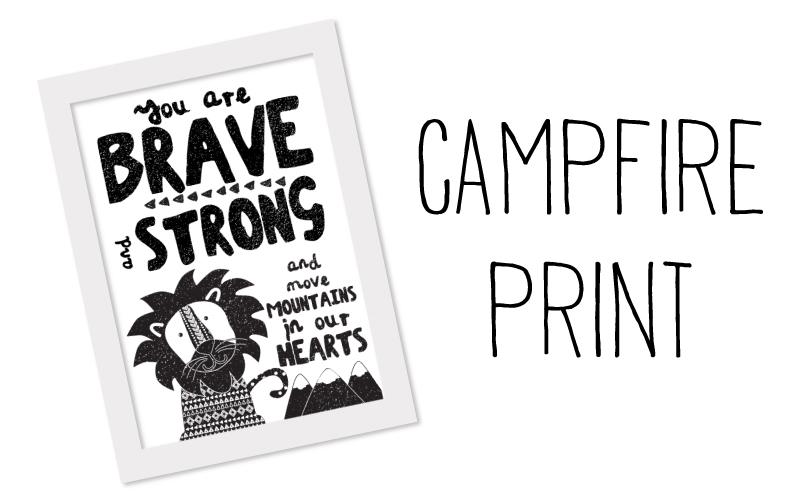 The CAMPFIRE Print – This print was designed for 3 awesome kiddies, For my daughter Olivia, and the awesome Cam… the 2 bravest girls I know! And for a tough lil guy named Dylan. The name of the print comes about from the girls, in Oct 2013 both Liv & Cam were burnt by separate hidden campfires, both girls received 2nd & 3rd degree burns, and well over a year later we are still going through the motions of getting their scars to a better place. These kids have all shown us what brave and strong really is!